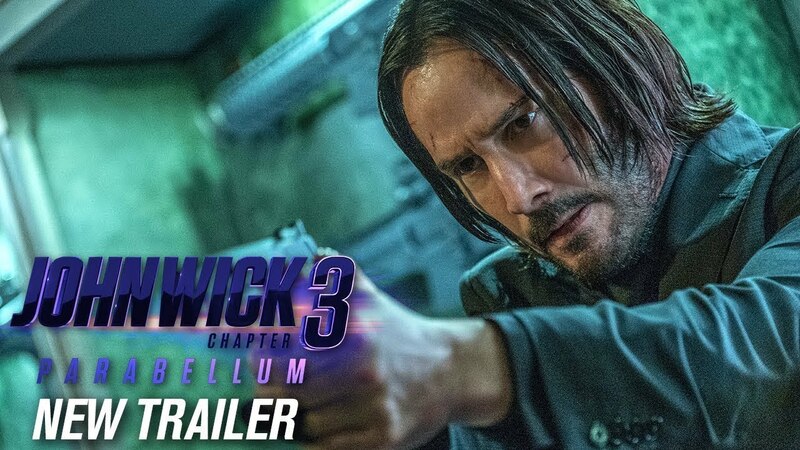 Super-Assassin John Wick (Keanu Reeves) is on the run after killing a member of the international assassin’s guild, and with a $14 million price tag on his head – he is the target of hit men and women everywhere. The IMAX release of John Wick will be digitally re-mastered into the image and sound quality The IMAX Experience® with proprietary IMAX DMR® (Digital Re-mastering) technology. The crystal-clear images, coupled with IMAX's customized theatre geometry and powerful digital audio, create a unique environment that will make audiences feel as if they are in the movie. Listen closely, your life depends on it. 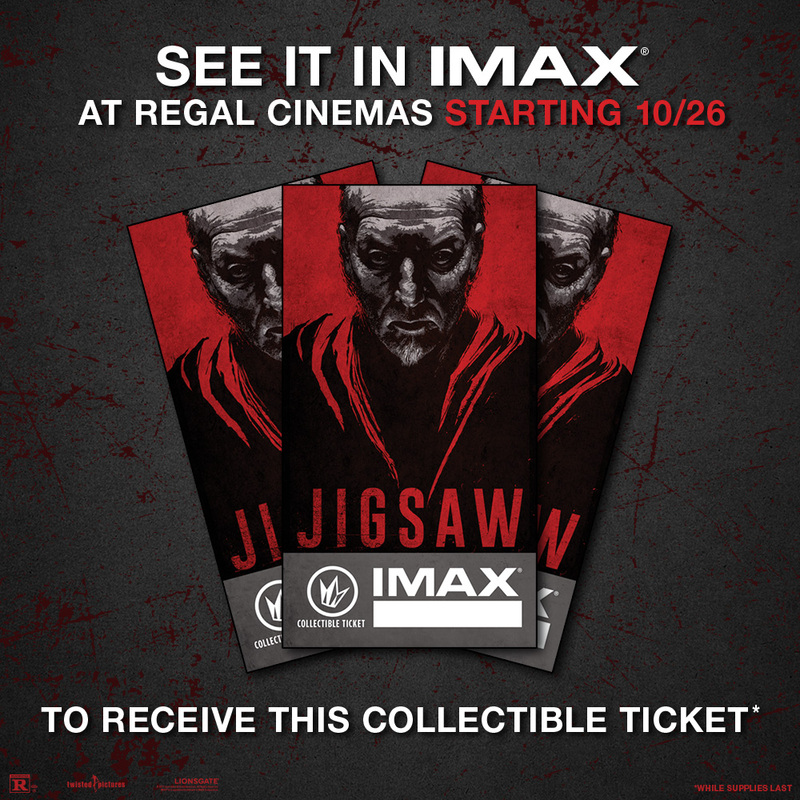 When you see Jigsawin select IMAX theatres on October 26 th, you’ll receive these chilling giveaways. The instructions are clear, failure to comply will cost you dearly. Let the games begin! 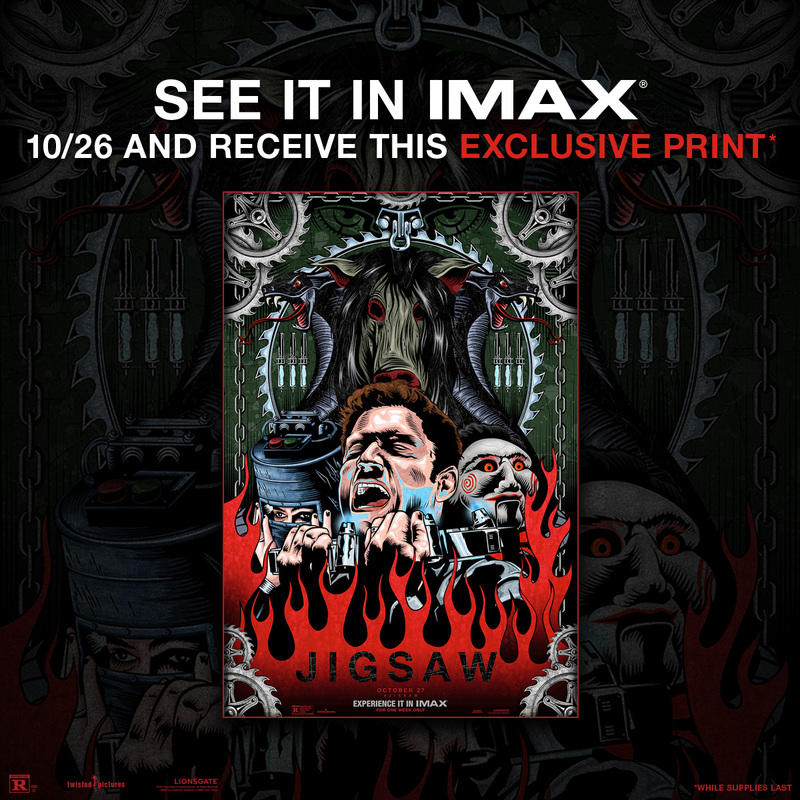 Fans who experience Jigsawin IMAX at Regal Cinemas starting October 26 thwill receive this exclusive collectible ticket, while supplies last! Play the game in IMAX. To get your tickets to see Jigsaw, click HERE. Amstar Cinemas, Brenden Theatres, Celebration Cinema, Cinemagic, Cinemark Theatres, Cineplex, Cinépolis Luxury Cinemas, Cobb Theatres, Frank Theatres, Galaxy Theatres, Goodrich Quality Theatres, Grand Theatre, Harkins Theatres, Landmark Cinemas Canada, Marcus Theatres, Megaplex Theatres, NCG Cinema, Paragon Theaters, Penn Cinema, Premiere Cinema, RC Theatres, Reading Cinemas, Royal Cinemas, Santikos Entertainment, Showcase Cinemas, Showplace Cinemas, Southeast Cinemas, The Grand Theatres, New Vision Theatres, TCL Chinese Theatre, IMAX Theatre at The Minnesota Zoo, Esquire IMAX Theatre, IMAX Theatre at Tropicana, Branson IMAX Entertainment Complex, IMAX Theatre at Indiana State Museum, World Golf Hall of Fame IMAX Theatre, Natick Sunbrella IMAX Theater and Reading Sunbrella IMAX Theater. Here’s one for the fools who dream. The city of stars will shine bright with a special engagement release of La La Landin IMAX. Emma Stone and Ryan Gosling star in this original musical that explores the joy and pain of pursuing your dreams in a city known for crushing hopes and breaking hearts. This Golden Globe ®winning throwback to old-school Hollywood dreams big in select IMAX theatres starting January 13 th. For more information about La La Land, click HERE. See the list below for a theatre near you. Theatres and showtimes are still populating. Check back to find a theatre near you. *Theatres participating in poster giveaways.